State Senator Bob Gardner, file photo. State legislators will host a town hall this week to address issues affecting senior citizens in our community. Rep. Terri Carver, R-Colorado Springs, and Sen. Bob Gardner, R-Colorado Springs, will host the town hall from 10 to 11 a.m. Saturday in the Venue at Library 21c, 1175 Chapel Hills Drive. 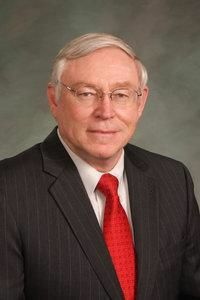 According to a March 25 press release, Carver and Gardner will give an overview of legislation affecting senior citizens in the current legislative session. • a bill to extend the Senior Property Tax Exemption for relocation due to medical necessity. • efforts, in partnership with AARP, to fight legislation to raise utility bills. • several bills that protect seniors and facilitate living options for senior citizens. According to Kay Rendleman, assistant to Carver, the legislators have been receiving calls from local seniors facing tax exemption issues, so a town hall seemed like a good way to spread the word and educate local seniors, caregivers and family members on the push for legislation to protect seniors from losing tax exemptions when they move. Following updates from Carver and Gardner, attendees can write questions on index cards for the legislators to answer for the audience. Carver represents House District 20, covering all of El Paso County west of I-25 from the Douglas County line to Highway 115 near Fort Carson, including Palmer Lake and the Air Force Academy. It does not include Monument. Gardner represents Senate District 12. For more information, call Carver at 425-7590.